Now I look like an idiot. 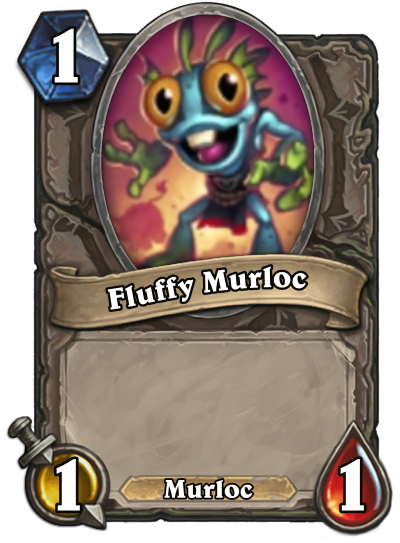 If murloc deck become a thing one day (even if I doubt it) this could be a nice card for it. A little trade plus a murloc board presence who's waiting to be buffed, why not. It has rush, not charge. it's a beast (good with master's call) that leaves a 1/1 behind plus it's a charge minion it will surely be broken somehow. edit: it got rush BAITED. This card is a giant Power creep to Bluegill Warrior homewer. Edit: the first one is a beast, might be playable in Hunter. not that bad!!! i see it playable in zoo! This is perfect in a zoo deck. Solid card. Card ain't that bad. on turn 2 you can clear Flame Imp and still leave 1/1 on board. In a zoo like deck you can easy play it with Knife Juggler you can trade and gain 2 knife shots. Remember Possessed Villager? For 1 more mana you got +1 attack, rush and 2 tribes as first card is beast second is murloc. I think this card might see some play. My first instinct is to say this is garbage. 2 mana 1/1 BC deal 2 to a minion. But the fact it doesn't have to trade right away makes it a bit sticky and flexible in use. When I first I saw this card on the home page it said it had charge and it would have been played in every aggro deck. 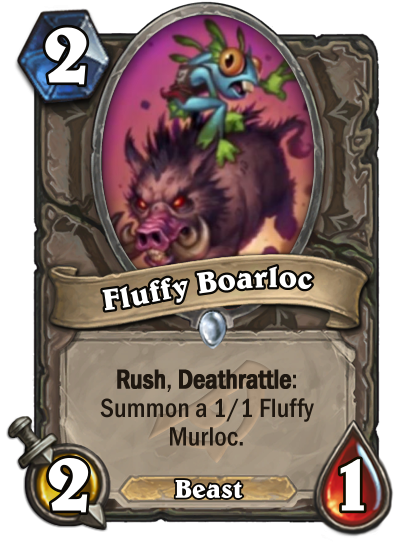 Now it says it has rush and it will probably be an OK arena card. Damn I never really considered how big the power difference is between having charge and having rush. Hey, I find it really good. Even for constructed. That's a 2 mana 3/2, a part of it has rush, i.e. it will impact the board immediately. I can totally see this in zoo or in other token decks. It's way, way better than that Spark Engine.